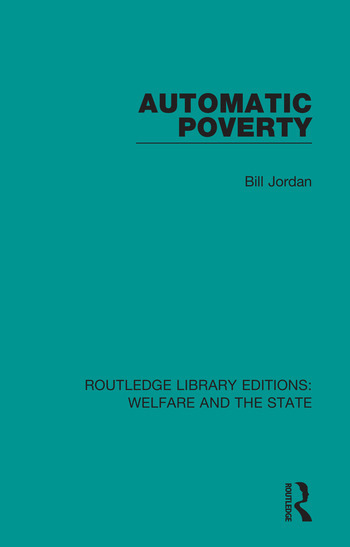 Originally published in 1981, Automatic Poverty provides a much-needed alternative to the Radical Right’s analysis. The book argues that Britain’s economic decline is symptomatic of an advanced stage of industrialisation in which productive processes are increasingly mechanised, but output remains static. Under these circumstances workers become redundant, the income of the working class diminishes, and dependence on the state increases. The ‘Ricardo phenomenon’ has become long-term feature of the British economy, and the author shows that neither Keynesian nor monetarist policies can remedy its consequences. It reflects a critical stage in the development of capitalism.